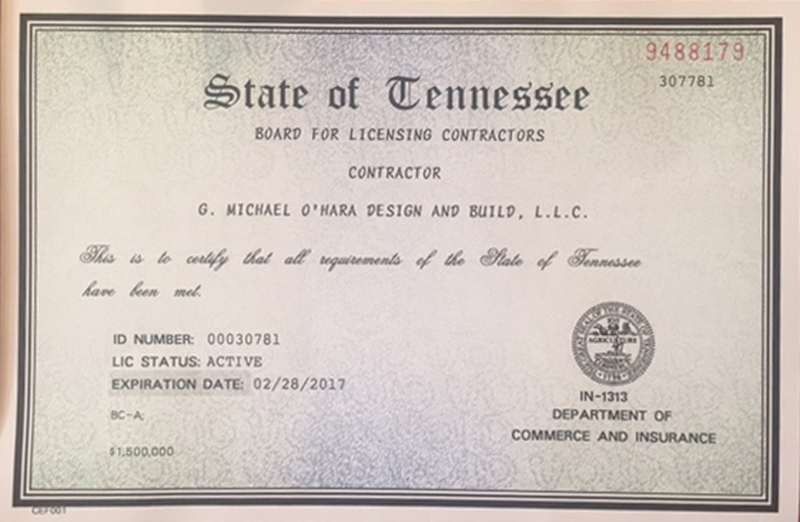 • G. Michael O’Hara Design & Build, LLC is a family owned and operated company, a Tennessee State Licensed and Insured Contractor. 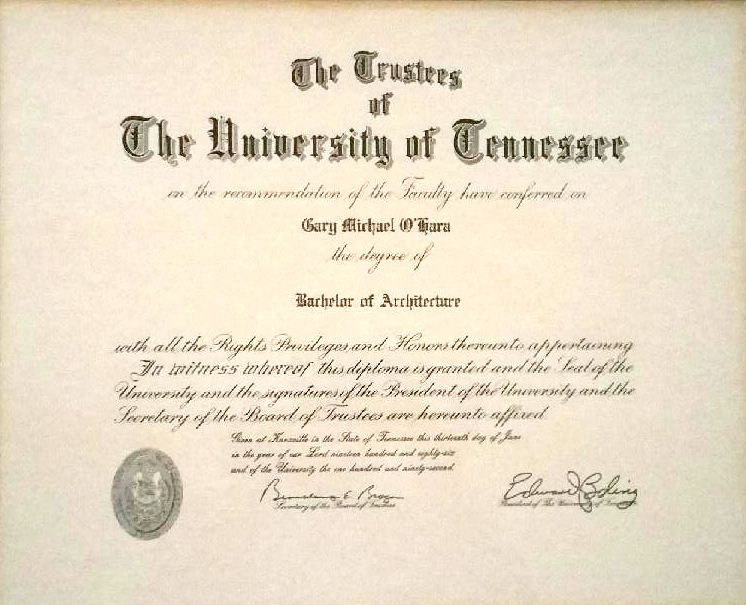 • G. Michael O’Hara holds the Degree of Bachelors of Architecture from The University of Tennessee. With his cutting edge style and great reputation, G. Michael O’Hara has been building homes in East Tennessee for more than 25 years. • G. Michael O’Hara relies heavily on the input of his home owners, and together in a collaborative effort, the home of their dreams is created. • Designing and building a home is hard enough, investing in a Custom Home Builder holding A Degree of Architecture insures your home will be a true one of a kind custom home, built on your specific site. Please give us a call to schedule a complimentary consultation.